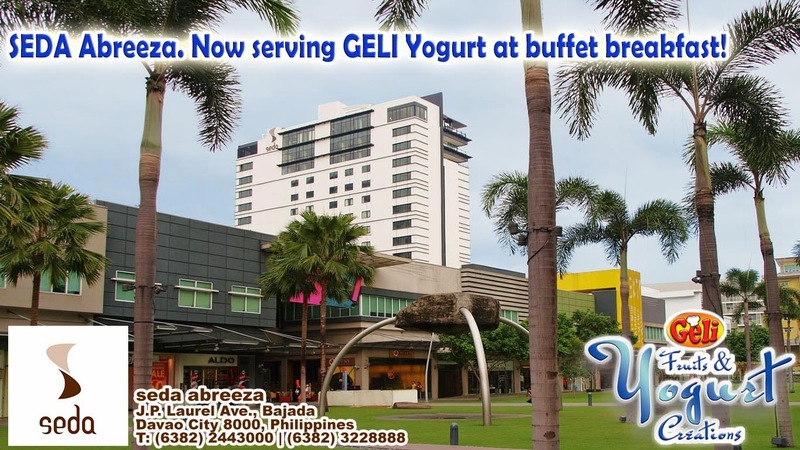 SEDA Abreeza in Davao City, one of four premier urban lifestyle hotels operated by AyalaLand Hotels and Resorts Corporation is now serving GELI Yogurt for their buffet breakfast. Guests can now enjoy the real healthy blueberry, strawberry, and mango yogurt like they never had before! GELI Yogurt Valentine Promo. 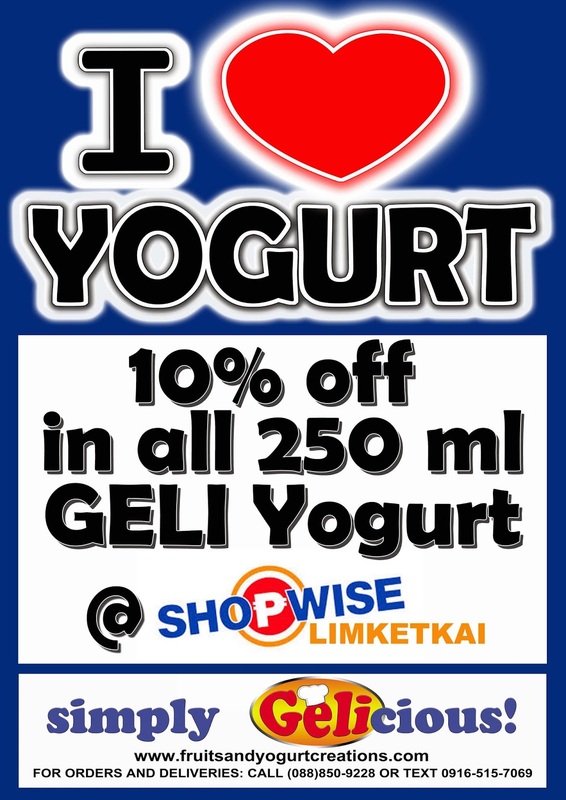 10% off in all 250 ml Geli Fruits and Yogurt Creations at Shopwise Limketkai, Cagayan de Oro from February 10 - 16, 2014. © Geli Foods. 2012. All Rights Reserved. Picture Window theme. Powered by Blogger.